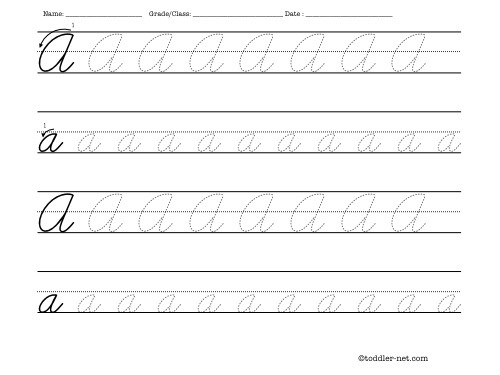 The cursive letter worksheets below are intended for kids who are learning handwriting. 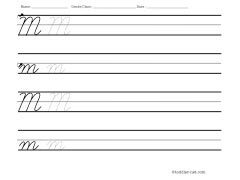 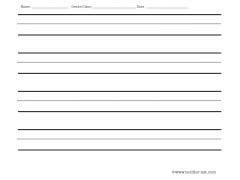 Each worksheet contains two rows for writing capital and small letters. 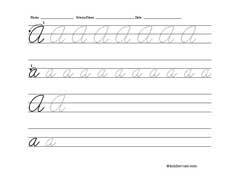 Two preprinted letters at the beginning of each row with small arrows around the first letter will remind children of how to write that letter. Clicking on the worksheet image below will open worksheet detail page, from which you can download printable worksheet in PDF format.